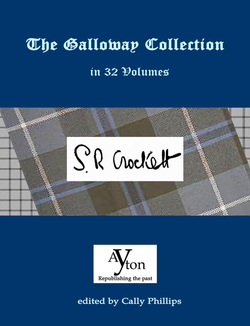 The collection launched on April 16th 2014 to commemorate the 100th anniversary of the death of writer S.R.Crockett. You can buy ALL volumes from our virtual bookstore in ebook format (both Kindle and epub) as well as in paperback. There are special discounts for members of The Galloway Raiders. 'The Galloway Collection' is also available worldwide from Amazon stores and will soon be available from other retail outlets.